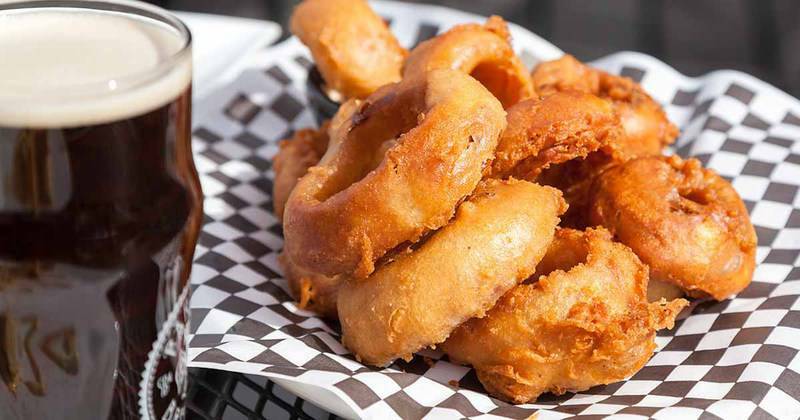 Simon and Seafort’s Onion Rings are some of the best beer battered onion rings you will ever try. 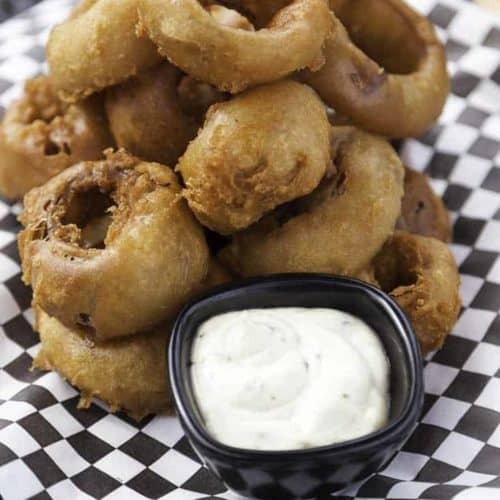 What makes these onion rings from this well known Alaskan restaurant so good? 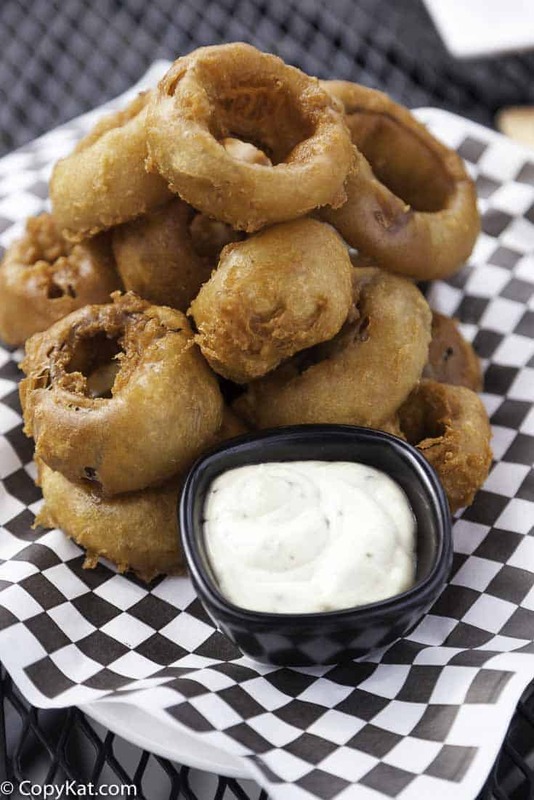 This beer batter is well-seasoned, and this special blend of seasonings makes this these onion rings stand out. To make beer battered onion rings I like to use a beer like Budweiser. I think this mild flavored beer gives the right flavor without the beer tasting too strong. Make Simon and Seafort's Onion Rings at home. Peel brown skin from onions and cut into 1/8" slices; chill overnight to make them easier to separate into rings. Reserve inner rings for something else. Prepare batter: Mix flour, baking powder, sugar, Lawry's Seasoning Salt, and garlic powder. Stir in 1 can (11 ounces) beer until batter is consistency of cream. Dip onion rings in milk and then in flour to cover completely. Heat frying oil to 365 degrees. Dip onion rings in batter and cook them in oil for 10 seconds. Lift basket and separate rings, then cook in oil again till golden brown, about 3 minutes. Drain, discard any broken rings. Salt and serve immediately. Thank you for letting me know. I appreciate your cooking tip. Thank you for giving the recipe a try. I love onion rings I’m always looking for a recipe to try at home for them. I will try these and see how I like them!